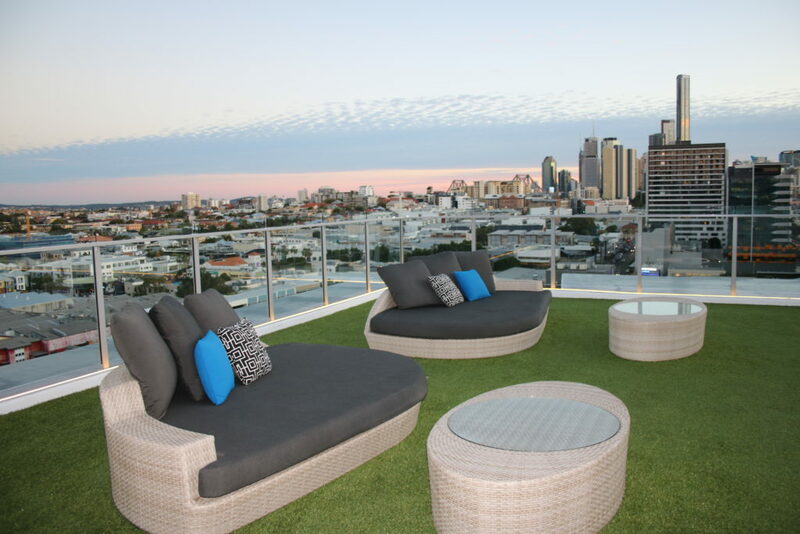 Alex Perry Hotel and Apartments are located in one of Brisbane’s hippest inner city suburbs. It’s just one suburb over from where I previously lived up until recently and I distinctly recall the day I drove past the Alex Perry Hotel very soon after the doors opened. My first thoughts were not the Alex Perry, creator of some of the most beautiful Australian fashion? My thoughts immediately turning to the decor, fittings, the opulence, and luxury. Yes, it was ‘the’ Alex Perry! 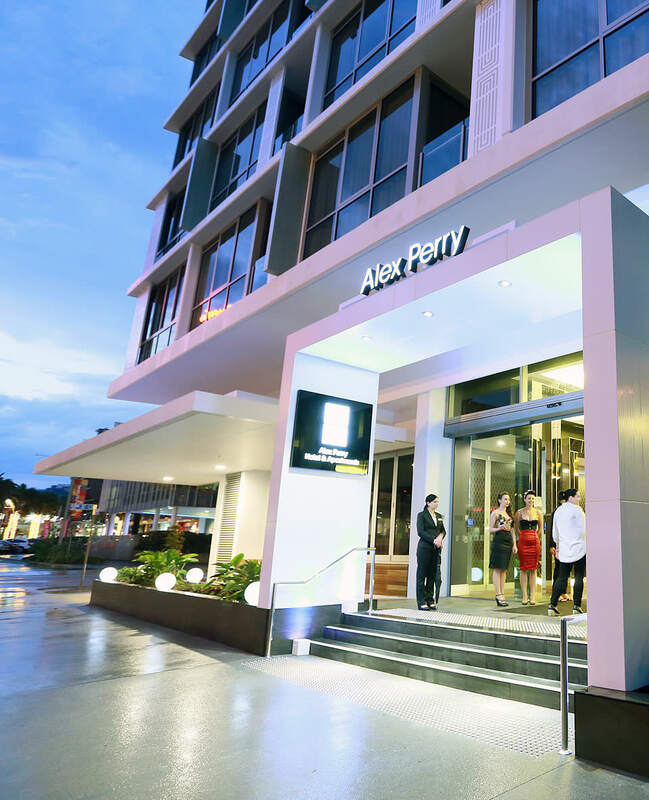 Fortunately, we had the opportunity recently to experience a 2-night stay at the Alex Perry Hotel & Apartments. 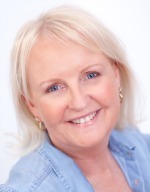 We stayed in a two bedroom apartment and as it turned out my imagination hadn’t served me wrong! Think, understated luxury, quality fittings, beautiful linen and even fully equipt kitchen that would do Masterchef proud. We have stayed in many self-contained apartments all over the world and the thoughtfulness of the inclusions at Alex Perry are outstanding. It’s the little things, which, as we know are actually the BIG things when we stay at a home away from home. For example, most apartments I’ve stayed offer ‘a’ glass or two in a bare kitchen cupboard. However at the Alex Perry Apartments, there’s a full selection of glasses. In fact 4 of each including tumblers, white wine glasses, red wine glasses and champagne flutes. How I know you might be thinking why I think these are SO important and I guess you’d have to know I’m a blowdryer snob. Many years of standing on the floor as a hair stylist and traveling the world lead to this you see. ? 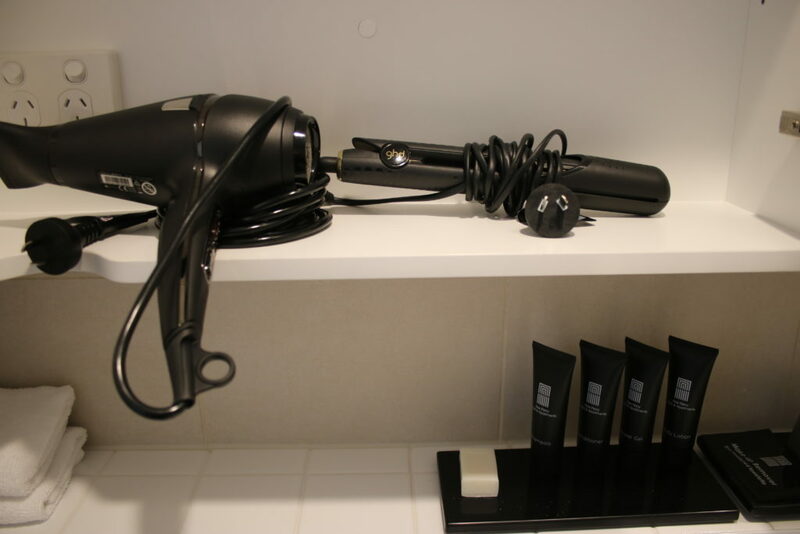 Most blow dryers in the swankiest hotels provide a blowdryer that could barely dry your eyebrows, so the GHD brand of dryer impressed me no end. It’s an indication of the standard of ALL the fixtures, fittings and inclusions at the Alex Perry Hotel and Apartments. 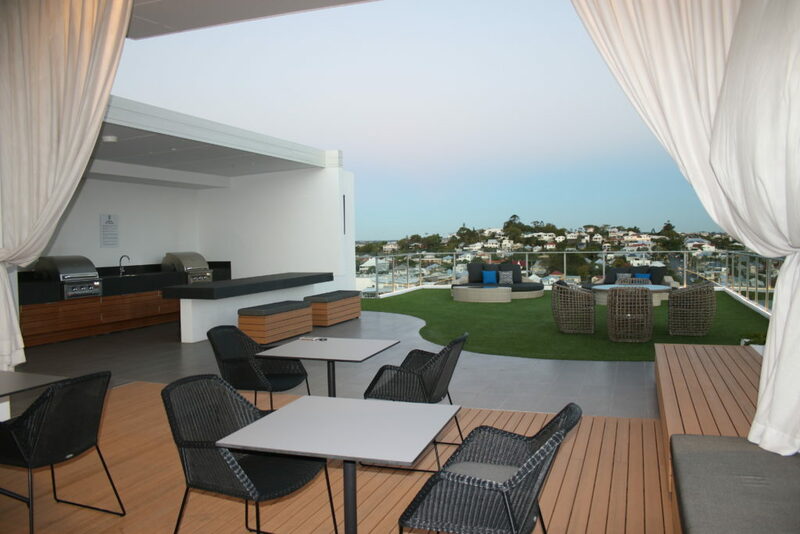 When you venture up to the rooftop, not only do you have a 360 degree of Brisbane there’s also a heated swimming pool for year-round swimming or laps, an enormous entertainment area with large screens and BBQ’s and a full equipt gym. We were in Brisbane to attend the RNA showgrounds for an expo, so the location of the Alex Perry Hotel and Apartments was perfect for us. It would be as equally perfect if you are in Brisbane for the races at Eagle Farm or Doomben, a conference or even for business during the week. Alex Perry would be my choice due to it’s proximity to everything. Some of Brisbane’s best restaurants and bars, New Farm Park, the Powerhouse and the famous James Street precinct is right on the doorstep! Secure parking is available although we didn’t use our car once, preferring to walk to James Street one evening for dinner and met friends across the road at Tautufo, an Italian Restaurant located in the Emporium precinct on the second evening. You can easily access public transport too if you need with the train station 10 minutes walk away and numerous bus stops on Ann Street, so you can’t go wrong booking your next stay in Brisbane at the Alex Perry Hotel and Apartments. Have you stayed at the Alex Perry Apartments and Hotel, what did you like most about your stay? Disclaimer: We were guests of the Alex Perry Hotel and Apartments, that said the views and opinions are entirely my own. Our 2-night stay in a 2 bedroom apartment. main bedroom with ensuite. Fully equipt kitchen and luxury fixtures, fittings, decor and linen. We found all staff friendly, helpful with fantastic service. 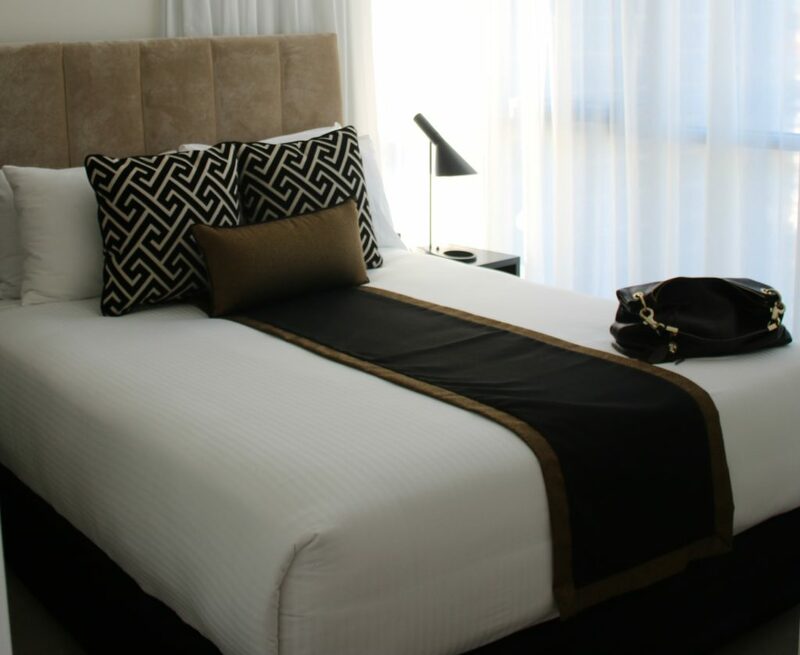 Alex Perry Hotel and Apartments is the ideal location for a visit to Brisbane. 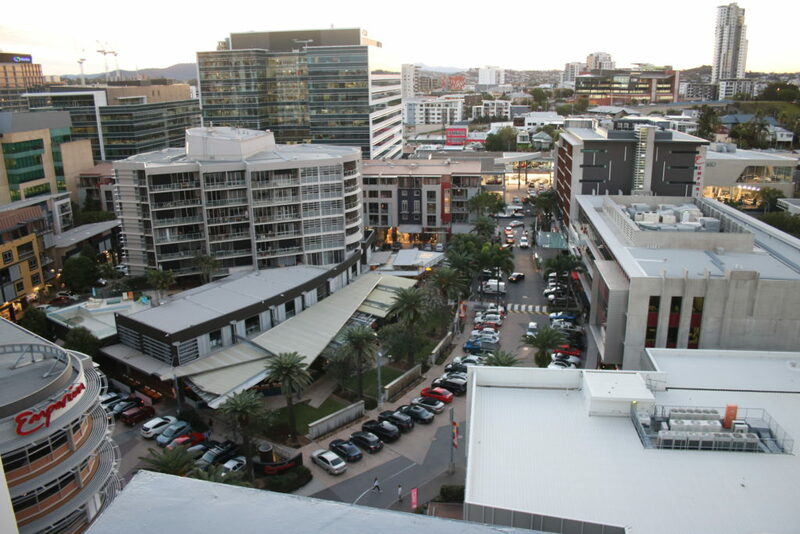 Easy walking distance to the best of Brisbane’s bars, restaurants, and shopping precincts. 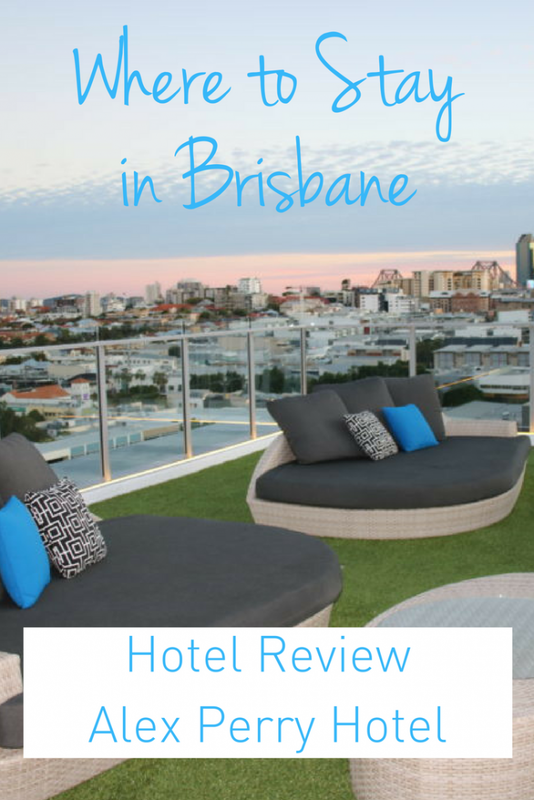 i highly recommend a stay for your next visit to Brisbane if luxury, location and service tops your list.